I have done four pieces inspired by baseball. All are about the essence and feel of playing the game. 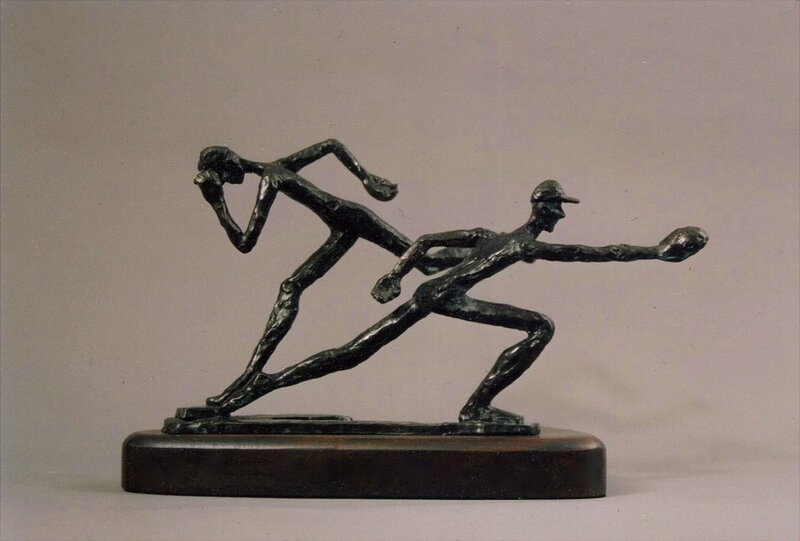 I sculpted them directly in wax for bronze casting, and I minimized detail and kept the forms thin to emphasize the movements, grace, and balance of the action. This one is about the runner's sprinting stretch to touch the bag and the first baseman's stretching to catch the ball a split second sooner. 8 x 11 x 6 inches.